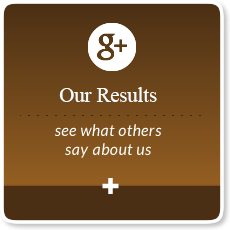 Click To View Our Healthier Patients! At my sons first appointment Dr. Martin explained how a baby’s spine can become misaligned during the birthing process and how a misaligned spine can affect different areas of the body. He was very thorough in his explanation. He then assessed my son’s spine and found that there was an area in his lower spine that was out of place. He explained to me how he would do an adjustment on his spine, which is not the same way he would adjust an adult. He showed me first by just pressing lightly on my arm with his finger. When he showed that to me I was so much more comfortable in having him adjust my son because all he was going to do was press lightly on his back with his finger. I then gave my consent for him to give my son an adjustment. It took only a week and a half and 3 adjustments later and my son went from waking up every 1 to 3 hours throughout the night to sleeping 6 hours straight. And it wasn’t long after that he started sleeping 8 hours straight. He is now a much happier baby and I am a much happier mom.Because I was so happy with my son’s results, I decided to be assessed and be adjusted as well since I was having back pain from the constant lifting of my baby. And I am beyond happy with my results as well. Our whole family now sees Dr. Martin. But not only was it the amazing results we have had that keeps us going back to Dr. Martins office, but also the amazing kindness that he and the ladies in the office show. They are so welcoming and make you feel so comfortable. They really get to know you and make you feel like part of the family. They go above and beyond. Dr. Martin’s care is unique in the following ways:His initial and periodic assessments are methodical, comprehensive, and informative. Dr. Martin observes and listens.He provides education that explains the purpose/benefits/applications of chiropractic care. Education also addresses preventative practices to avoid spinal injury and maintain general wellness. He answers all questions patiently and in a manner that is understandable.His treatments are painless and he continually monitors their effect on you.Exercises were tailored to my specific problems. He introduced them only after he had restored movement in my back and he knew that I had a reasonable chance of being able to perform them successfully. As my progress evolved, so did the exercises.Dr. Martin and his staff are efficient, respectful, and always friendly. The environment is bright, and comfortable. It is a happy place to visit!